A foul day of weather today, definitely the worst since early April. 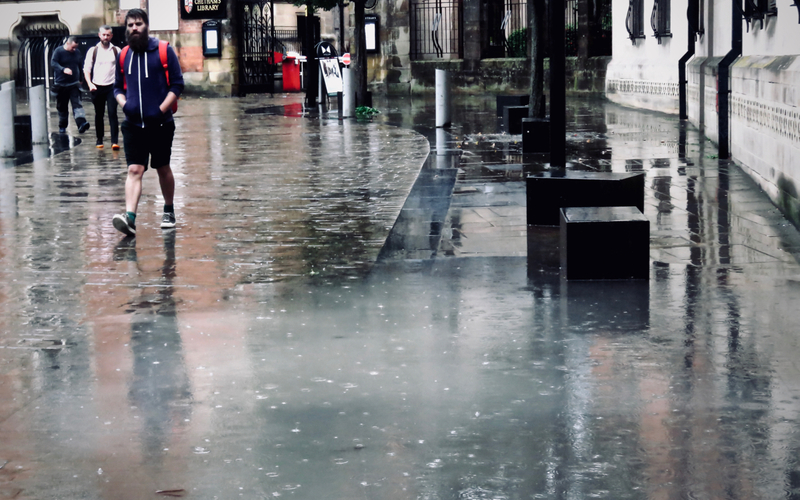 A reasonably pleasant morning tricked us all into going out without the right gear, a mistake very apparent later on when we had to return home in foul and heavy rain, and with plenty of time to remind ourselves about just how poor is the drainage on Manchester’s streets. It’s bigger than a puddle, but not quite big enough to be a flood. Hence, a fluddle, pictured at the back of the George pub in Torrisholme, Morecambe. 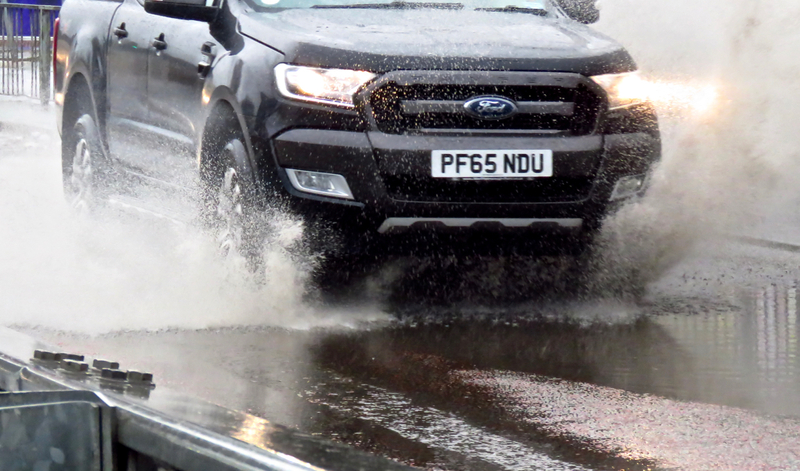 However the first day of 2015 panned out for you, here in north-west Lancashire, it was very wet.